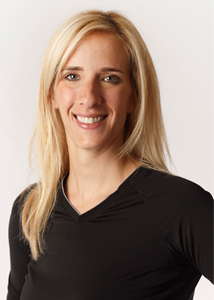 Stephanie played basketball for the University of Toronto Varsity Blues and has also had international playing experience representing Canada at the 1997 Maccabi Games in Israel. Stephanie’s passion for basketball is stronger than ever. Once a high-level player, she now helps athletes develop their on-court skills while ensuring that they, their parents, and their coaches all understand how the lessons learned on court can prepare them for success in life.